It's easy to make life smell fresh again. Instead of masking odors eliminate them. 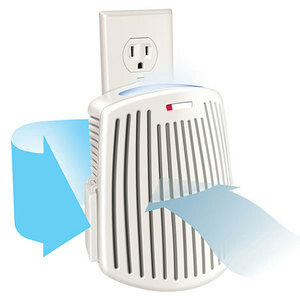 TrueAir Odor Eliminators eliminate persistent odors and freshen the air in your home or office. Plug one into any outlet to continuously neutralize pet odors smoke odors and other tough odors. The specially formulated carbon filter odor eliminator lasts up to four months and the built-in indicator lets you know when the filter needs to be replaced.